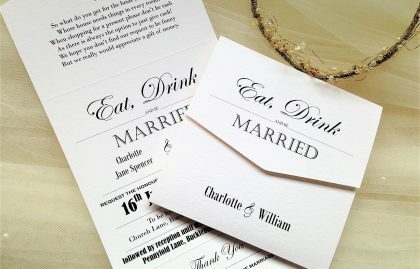 Vintage and rustic wedding invitations for country and barn style weddings. 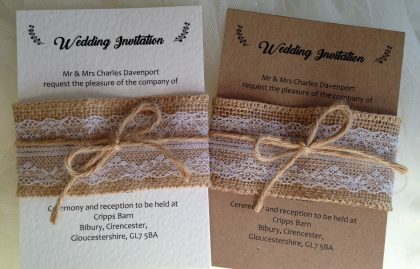 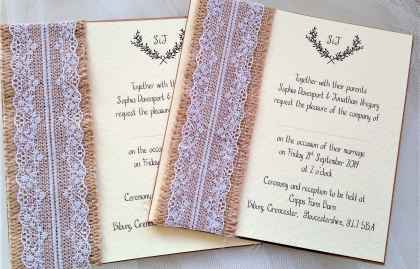 The use of brown kraft card, burlap, lace and string all fit perfectly with the rustic theme. 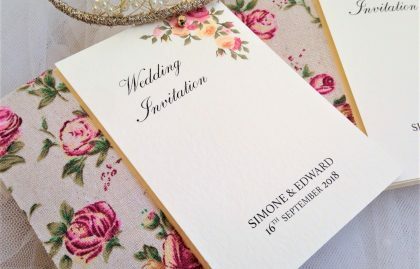 Imagine country gardens, barn and farm venues, hay bales, trestle tables, coconut shies, tombolas, jam jars, cake making competitions and cupcakes. 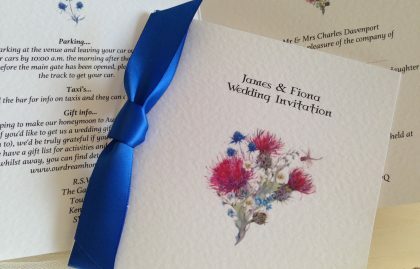 Dream of long summer days with a hog roast in the evening. 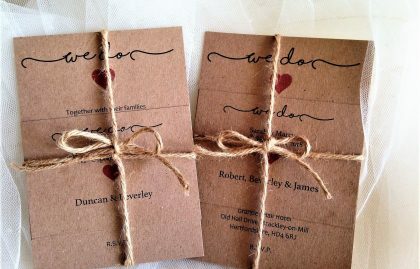 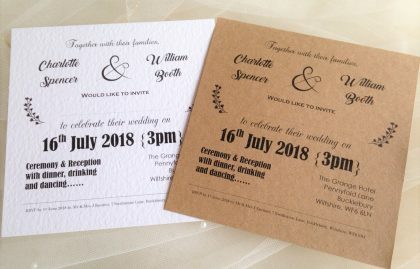 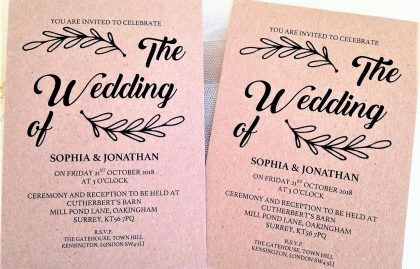 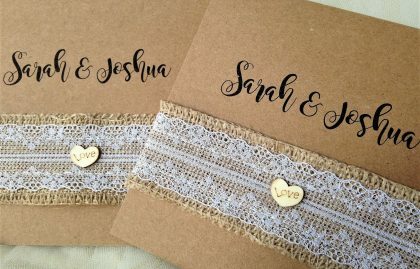 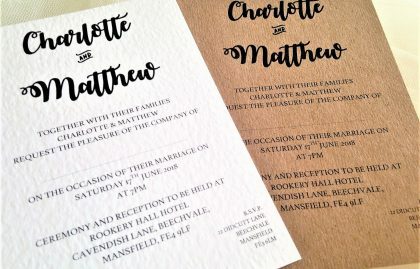 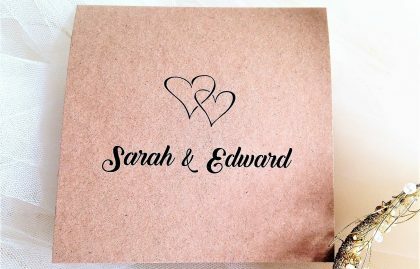 Most of our rustic wedding invitations can be printed in a typeface or font style of your choice.